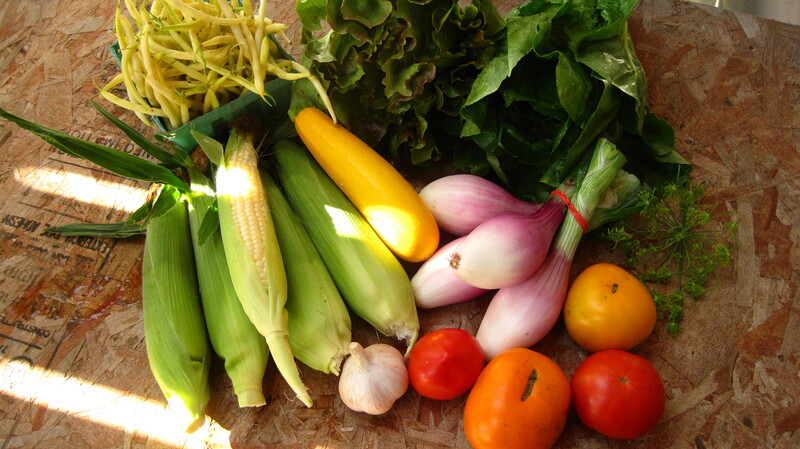 This week is incredibly exciting, as we really start to get into the warm weather crops. 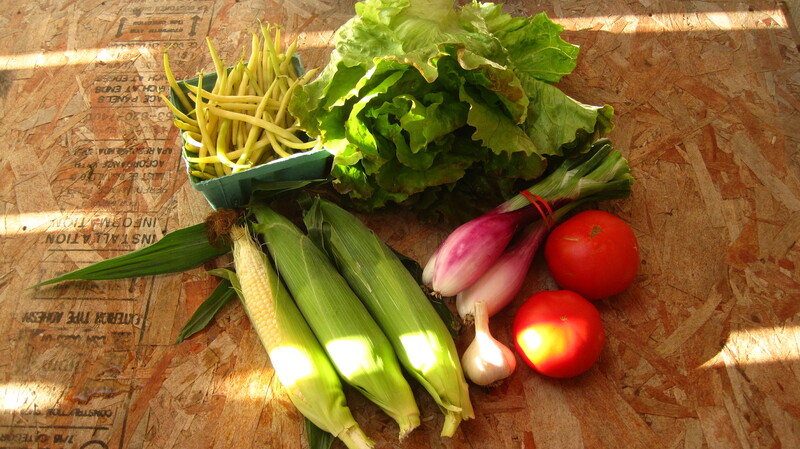 We’ve got sweet corn! Tomatoes! Garlic! Zucchini! Beans! Peppers! 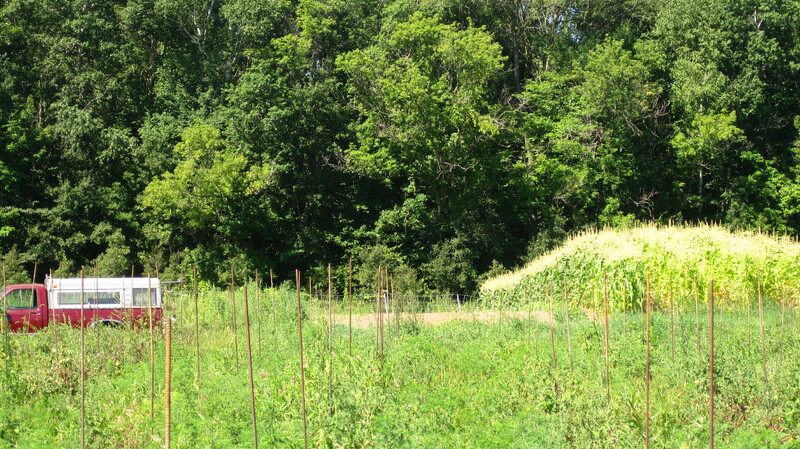 Melons and eggplant are just around the corner. 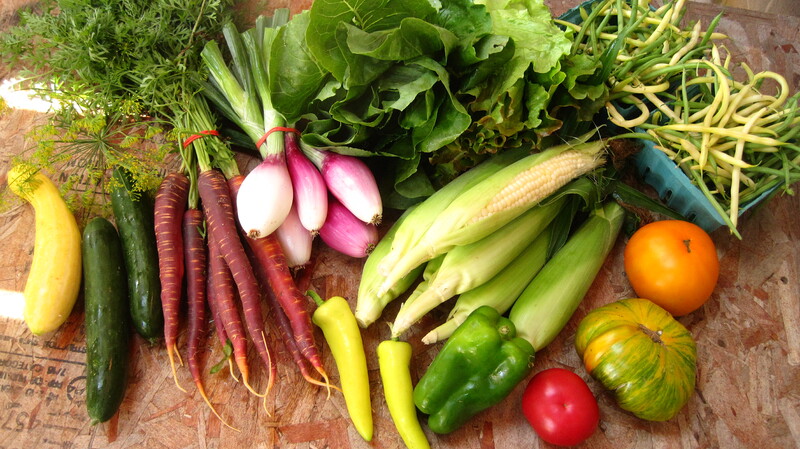 The heart of the summer produce season is just beginning, so rest assured that every member will get their fill of these crops by the time the weather turns cool and we begin to see the fall crops roll in. 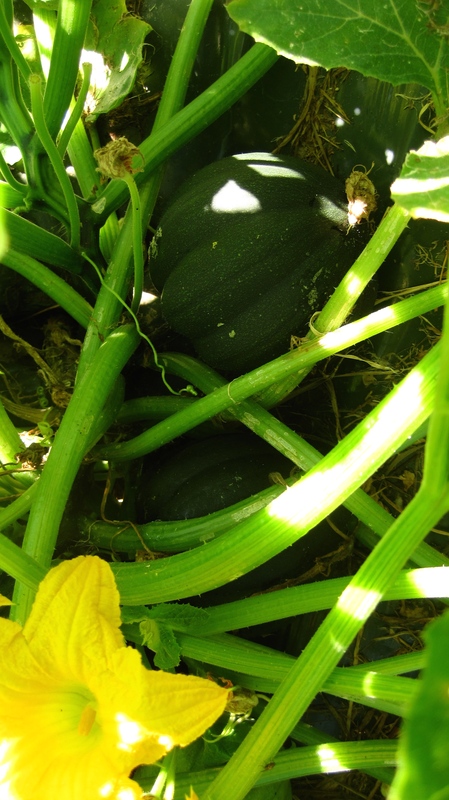 I know, it’s incredible that we’re even looking towards fall already, but we cleaned out the greenhouse today, we’re packing equipment up to bring to the new farm, and we’re watching the baby winter squash get bigger and bigger. Fifth Annual Sleepy Root Farm Member Party!!!! Please join us on Saturday, August 29th from 11 am to 4 pm for fellowship, farm tours, lawn games, and homemade pizza on the grill. We’ll make the dough, set out some toppings, and do the pizza cooking. You’ll bring a side or topping to share, some stompin’-around-outside shoes, and your friends and family for a day of community building and later summer revelry. RSVPs are greatly appreciated so we know how much pizza to make, but come even if you don’t! Fall Garlic and New Farm Housewarming Party!!! We’ll be planting a few thousand cloves of garlic at our new farm, hosting tours of the new place, and asking all who are interested to join us in some general clean-up and settling in at the new place. We’ll provide warm drinks and a hearty meal for all of our volunteers! Please RSVP if you’re interested in helping Sleepy Root snuggle in for our first fall on OUR VERY OWN FOREVER FARM!!!!! Even if you aren’t interested in cleaning out old barns or planting garlic (we get it!) we’d love to have all our members swing by and see what the new place is like. Our hacienda es su hacienda! Our beautiful tomato plants are really starting to hit their stride. 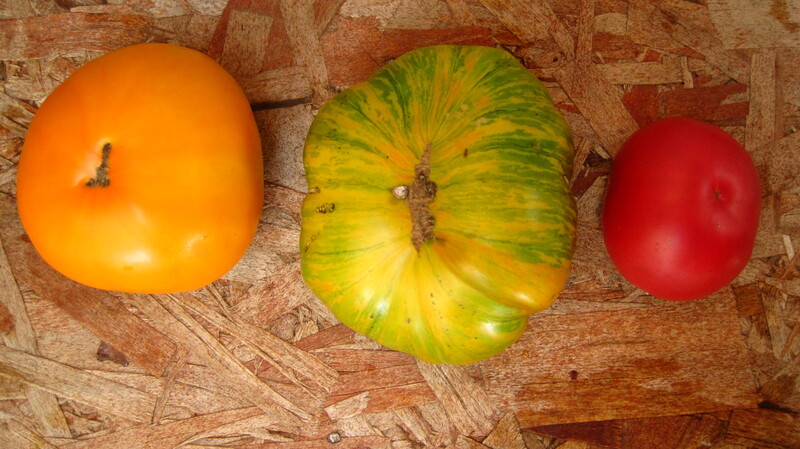 We grow about 80% heirloom varieties, 20% hybrid varieties (but all are 100% organic! 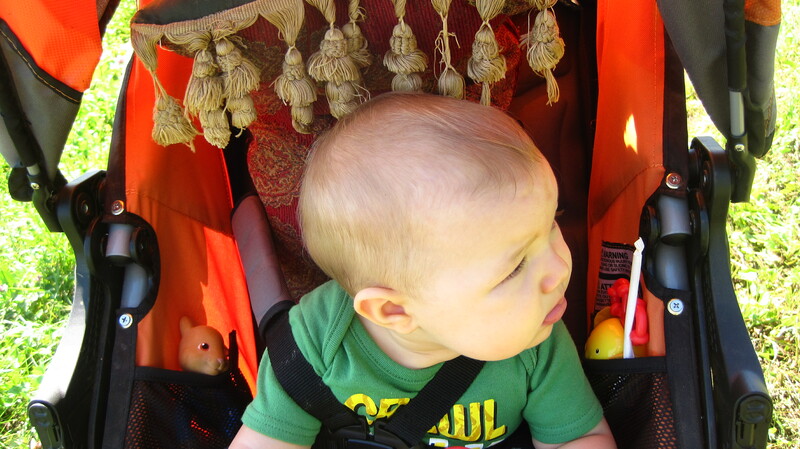 ), so that means that most of you will encounter strange colors, shapes, and a mix of sizes. If we’ve put a tomato in your box, that means it’s ready to eat over the next few days, so if your tomato is white or green, it’s ok, go ahead and eat it soon! You were just a lucky member who got an Aunt Ruby’s Green, or a Great White, or a Copia. Tomatoes are really the only thing you’ll get in a CSA box that needs a little discretion from you as to when to eat it. The best way to tell is if the tomato feels soft and slightly yielding when gently squeezed. This is why heirloom tomatoes fetch up to $6 per pound at the coop: they are extremely fragile, can only be picked a day or two prior to shipping, require an intimate knowledge of varieties and their ripeness from the grower, and have a shorter shelf life overall to begin with. We are thrilled to be able to share such high-value crops with our members, and the ability to grow and eat such high-quality heirloom tomatoes is surely one of the biggest benefits of supporting truly local farming! Sweet Corn is here!!!! Seriously, I’d have a hard time recommending anything but steaming your corn and eating it with plenty of butter, but if you want to stretch out your corn-eating pleasure, we have some great recipes on the recipe page, such as the ever-popular bread salad (which we’re having for lunch today!) or Mexican style with citrus and cream. 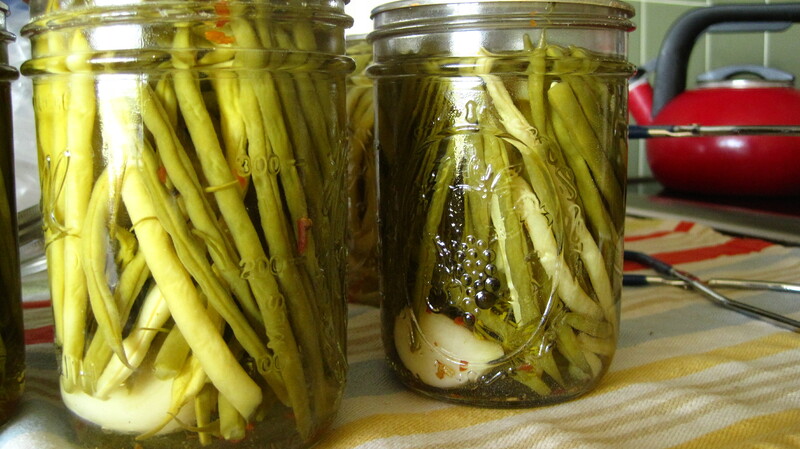 Snap beans are such a great summer crop since they can handle the heat, are so versatile in the kitchen, and freeze exceptionally well if they are blanched and well dried. This is the last week for beans for a little while, so have fun! For those of you who are interested in composed salads, check out this Spanish Green Bean and Olive Salad. 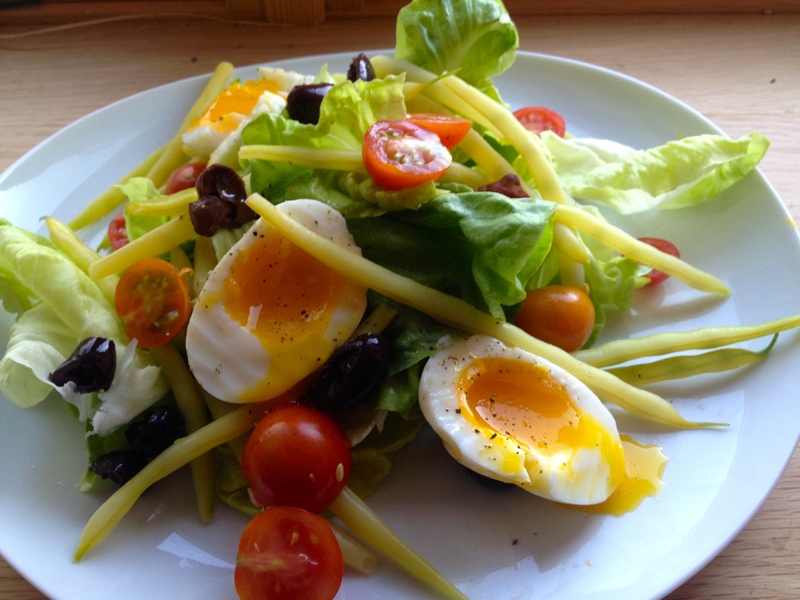 With a 6 minute soft-boiled egg, it makes a handsome hot-day supper! 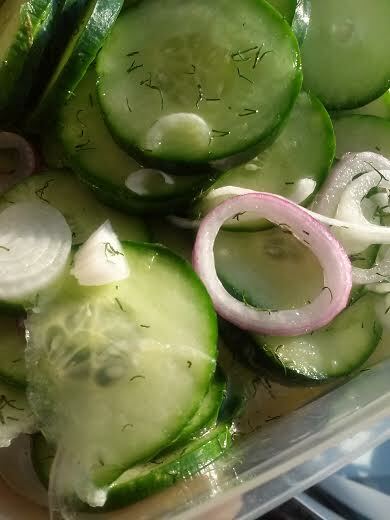 If you didn’t get a chance yet to make the German Cucumber Salad from last week’s newsletter, you now have the chance to make a great version using a family recipe of one of our members. Thanks, Julie and Julie’s Mom! 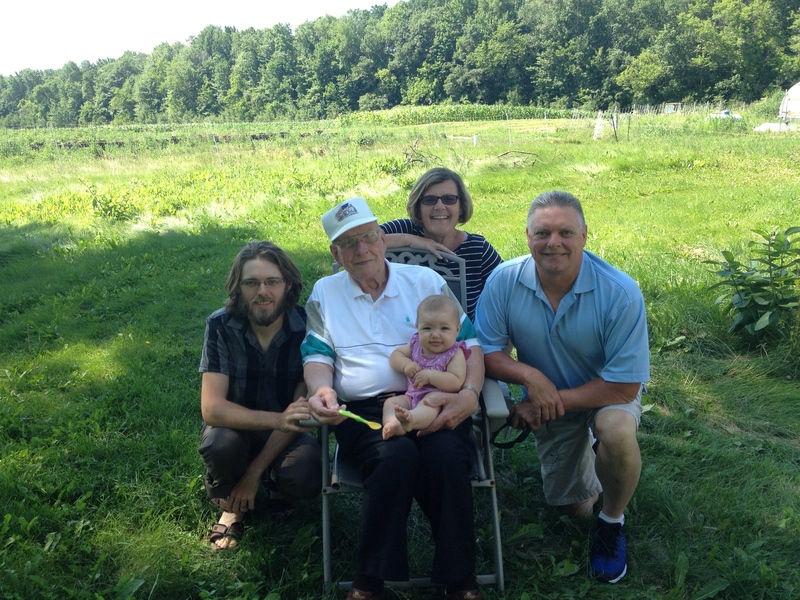 We had a great visit the other week from Brandon’s parents and his Grandpa Cecil. Three, maybe four, generations of farmers! No, not a trick photo! The corn really is dwarfing the truck!